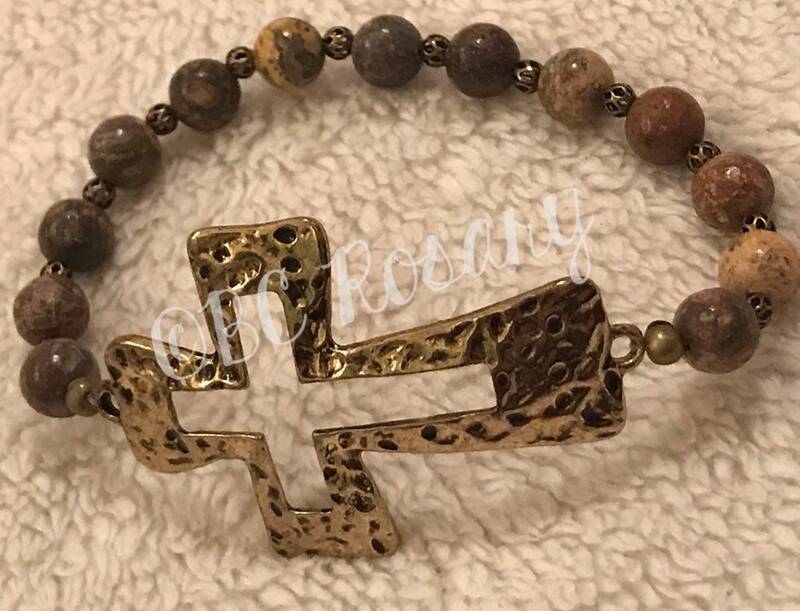 An antiqued gold metal cross anchors this stretch bracelet. 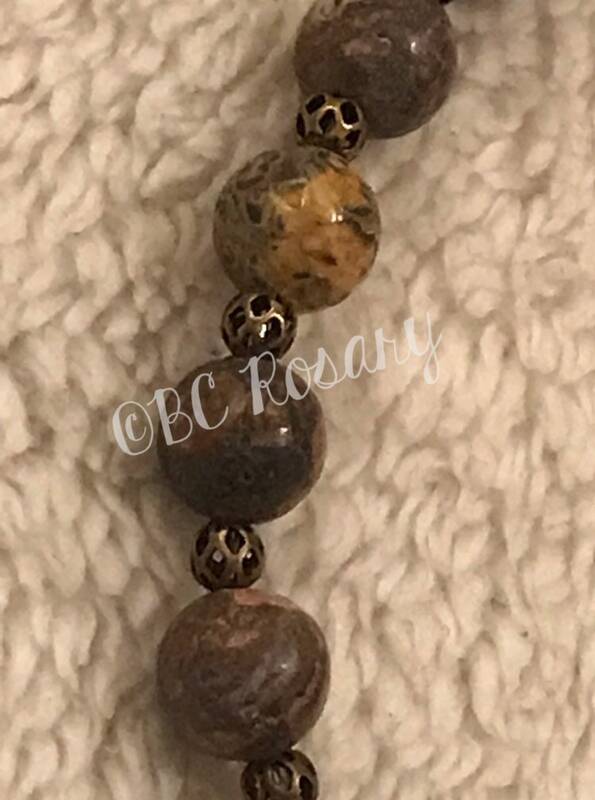 It features 8mm picture jasper & bronze accents. 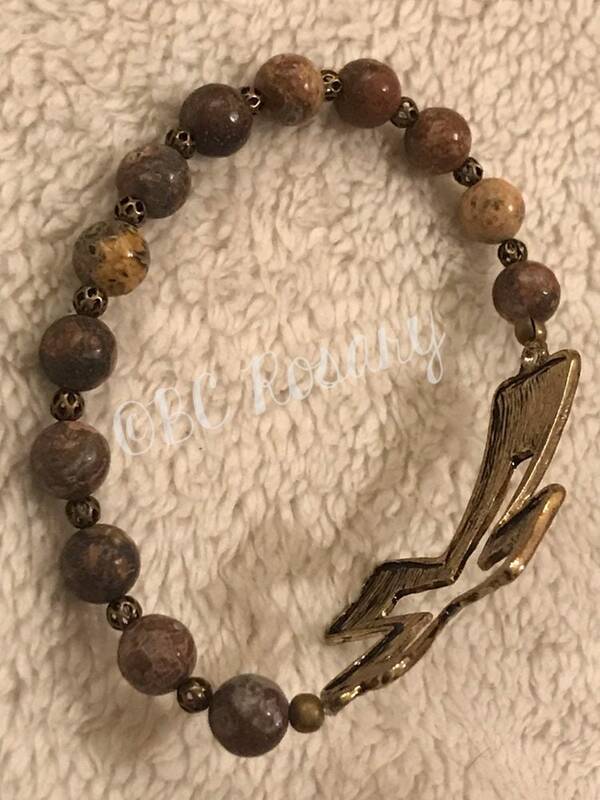 This bracelet stretches to fit 7.5 -9 inch wrist.